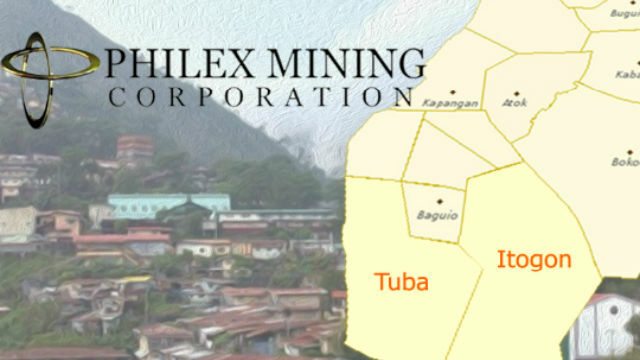 TUBA, Benguet – Philex Mining Corp. has secured a TRO, or temporary restraining order, against at least 22 men claiming to be with an “unincorporated group,” whose barricade at the company’s tailings pond and its open spillway, in Itogon town’s Brgy. Ampucao, would cause “irreparable damage” to the company and the environment. The judge, who heard the miner’s complaint for injunction and damages against the respondents, mostly contractors of Philex Mining and led by Erich Pitelan, a resident of Brgy. Ampucao’s Sitio Talnag, listed 10 items that petitioner be allowed to do without delay, such as the general cleaning of the open spillway and the backfilling of dikes no more than three meters high. In its 23-page complaint, whose prayer includes an issuance of a TRO and a writ of preliminary injunction, the company, represented by lawyers Guillermo Bandonill and Joan de Venecia, said the TRO should be issued immediately, otherwise the Tailings Storage Facility No. 3 (TSF3) of Padcal, Philex Mining’s goldand-copper operations in the Benguet towns of Tuba and Itogon, would be in grave danger. Should the company fail to continue with its works on the backfilling of dikes at its TSF3 due to the barricade, the nearby rivers and farmlands, as well as the livelihood of surrounding residents would be adversely affected. De Venecia, who is vice president at Philex Mining’s Legal Dept., and Bandonill, an external co-counsel, cited government regulations allowing the company to maintain a freeboard at its TSF3, otherwise this would overflow, putting its surroundings in danger and stopping the miner’s operations. The company’s manager at Padcal’s Legal Div., Eduardo Aratas, said the TRO was granted until the main case, a criminal complaint against the 22 respondents and several other “John Does”, has been completely heard. Last March 23, company workers and contractors and their men assigned at the TSF3 and its open spillway filed criminal charges against Pitelan, et al., whose barricade had prevented them from reporting for duty. Three groups, Philex workers, San R Construction, and GA Flores Construction, said they were threatened and harassed by Pitelan and his companions, who barricaded at the TSF3 and its open spillway on March 22, and left March 27, following the issuance of a TRO. Saying they belong to the “Damstream Indigenous Group,” Pitelan, et al. said the company has failed to grant their requests for a dialogue over issues of royalty payment over their lands that had been used by Philex Mining to build the TSF3 and its open spillway. De Venecia said, however, that the group had been paid duly by the company for their lands, and that they are not indigenous peoples guaranteed by law to receive royalties from Philex Mining, which operates in land.